Candidates intended to become legal professionals or want to enter in law field can choose LLB (Bachelor of Laws) Course. In India, legal education is offered at different levels. Do you want to start your career in Law? Here, we are providing the career guidance in law for beginners. Bachelor of Laws, abbreviated as LL.B. is the degree in law that is conferred upon graduation from a college of law. The degree is awarded after the successful completion of 3-years academic studies in law subjects. The Bachelor of Laws (LL.B.) as the first professional degree in law originating in England. 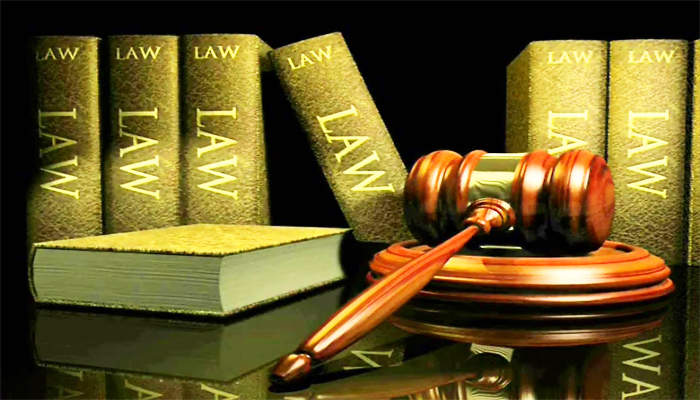 The LLB begins from the Latin abbreviation of Legum Baccalaureus (also known as the Bachelor of Laws). One can start their career in law only after completion of an undergraduate degree or as an integrated degree after completing senior secondary education. After receiving LL.B. degree or integrated law degree, one can be titled as “Lawyer”. Lots of hard work and dedication is required to become a successful lawyer. In India, legal education had been generally offered as a three years graduate degree (LL.B.). Since 1987, the academic system in law has been changed. National Law school of India University (NLSIU) was the first Indian law University set up in Bangalore and offered a five years integrated law course in B.A.LL.B. (Honours). BCI is the authority that regulates the legal practice and legal education in India. It sets the standards for legal education and also grants recognition to law Universities of India. Both LL.B. and integrated law degree are the qualifying degrees for practice of legal profession in India.Both the courses are good in their places. The basic difference in both the degree is that LL.B. can be pursued after the completion of graduation in any stream while integrated course in law is done after passing the senior secondary examination from the recognized Board of Education in India like CBSE, CISCE, etc. LL.B. has the duration of 3-years while integrated law course is of 5 years duration. The course curriculum of LL.B. is purely based on law subjects while in integrated law course, the initial 2 years of study deals with the basic subjects of that course (like In B.A.LL.B., the first two years comprises the study of arts subjects) and in the last three years legal subjects dominates the curriculum. Now, the LL.B is available in two formats: one for graduate candidates and another for undergraduate audiences. LL.B. is the traditional law course offered by Indian universities which has a duration of three years. The course is divided into six semesters. On completion of 3-years course, LL.B. degree is awarded. Eligibility: The eligibility requirement for this course is graduation from the recognized institution. The applicant should already have 3-years bachelor’s degree in any stream to be eligible for this course. The graduation must be passed with minimum 45% marks (40% for SC/ST). Percentage criteria varies from institution to institution. Integrated law degree is conferred after 5-years of study in law colleges. It is done in B.A.LL.B, BB.A.LL.B., B.Com.LL.B., B.Sc.LL.B., B.S.W.LL.B. Eligibility: The eligibility requirement for pursuing integrated law course is 10+2 from a recognized board of India. Candidates should have minimum 50% marks (45% marks for SC/ST) in the qualifying examination to be eligible for this course. Admission process is not same for all the law schools. However, most of the law schools in India offers admission through entrance exams. With the passing of years, law entrance exams are becoming popular and competitive. All the NLUs in India (except NLU, Delhi) offers admission through Common Law Admission Test (CLAT). Through CLAT, admission into integrated undergraduate courses in law and postgraduate courses is provided. NLU, Delhi conducts its own entrance test namely All Indian Law Entrance Test (AILET). Many law schools offers admission through CLAT. Some of the Universities also conducts its separate entrance test like LLB Entrance Tests for Delhi University, BHU Law Entrance, etc. Admission into foreign countries is done through Law School Admission Test (LSAT). Which colleges are best to pursue LL.B. or integrated law courses? Before practicing in any court of India, LL.B. graduates have to obtain the “certificate of practice in law”. It can be obtained by giving the “All India Bar Examination (AIBE)” regulated and supervised by the Bar Council of India. Lawyers can find employment in both public and private sector organizations. Central and state government jobs are also available for lawyers. Lawyers can also work as legal advisor and legal counsellor for firms, organizations and families. Interested candidates can also pursue higher studies after the completion of LL.B. The master’s degree offered after LL.B. is LL.M. Research programmes are also available for master’s degree holders in law. Legal profession is one of the highly paid professions in which earning depends upon the name, fame, experience and job profile of the candidate. As a legal counsel or legal advisors, Bachelor of Law degree holders in private organizations may earn Rs. 15,000/- to 20,000/- per month. After gaining experience, the salary may increase. A sub judge can expect salary more than Rs.20, 000/- per month with other allowances. For any queries regarding Bachelor of Laws (LL.B. ), you may ask us by commenting below. Hello sir,,, i completed my btech and worked in my stream for a year. Studying law is one of my ambitions. Is am eligible foe this. Please helpe me sir. Hello sir, I have just now completed my hsc in science…. I have not yet given any entrance exam for law course…. I have given mhtcet exam…can I apply for L.L.B course …just after 12 th???.. If yes than what must I do??? Please guide me. sir i m studying llb 5 yrs course.after my studies what are the carrier option or job opportunities for me? or through my study which government exams should i give to get government job?? Hello sir BA LLB krna k baad m practice k Liya kitna time lgta hai or us time candidate ko kya kya krna hota hai or Us candidate ki practice kb khatem ho jati hai. How much fee we have to pay for the completeion of course 5yrs llb. I am b.com graduate and m.com dropout… Can I apply for LLB. Is there any practise years…after completing llb? After your b.Sc you can pursue LLB. sir I am now 51yr and I get 65 marks,3672 rank in Telangana lawcet 2017. So I eleigible or not to get the llb college admn. LLB 1st year since this year. please help me to tell about guideline. Hello Sir, I am completed 1 year of LLB 3years,Please suggest me what can I do after completing my LLB degree,I am very confused .What scopes after LLB .Can I start my practice in law firms now? Sir, iam amulya i am getting scared abt my carrer. And am dng integrated course in kakatiya University and i hve completed my first year can i do legal practice from second year itself r if u can suggest me in any another route? Please guide me sir. sir i scored 65 in cet llb 3 years course what are the expected colleges to get in? Sir, I want to take admission in BA LLB for my 12th birthday. I am going to give you a message here, please send me gmail.id and send it to you. can a B.PHARM graduate join in llb ?